This project takes one aspect of Lights Camera Newburgh - the comprehensive urban design study for transforming Newburgh into a film machine - and tests it on the ground. 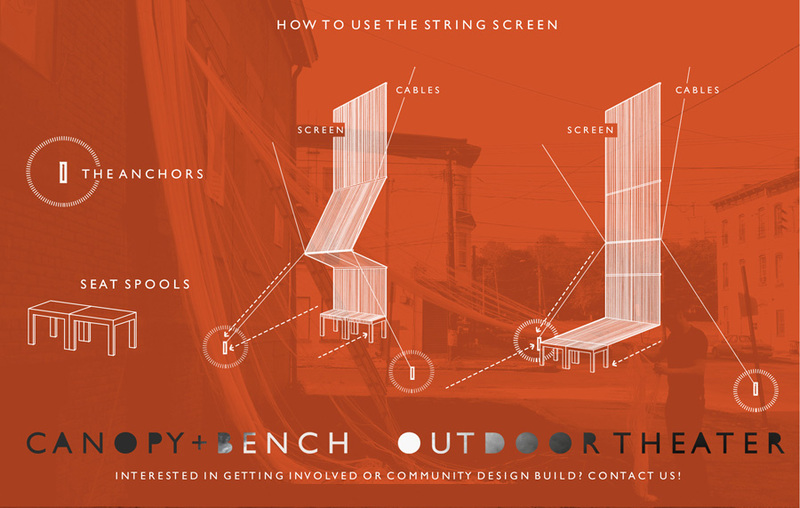 The goal of the project was to make a dual purpose place that acts as an outdoor theatre and provides a public service. 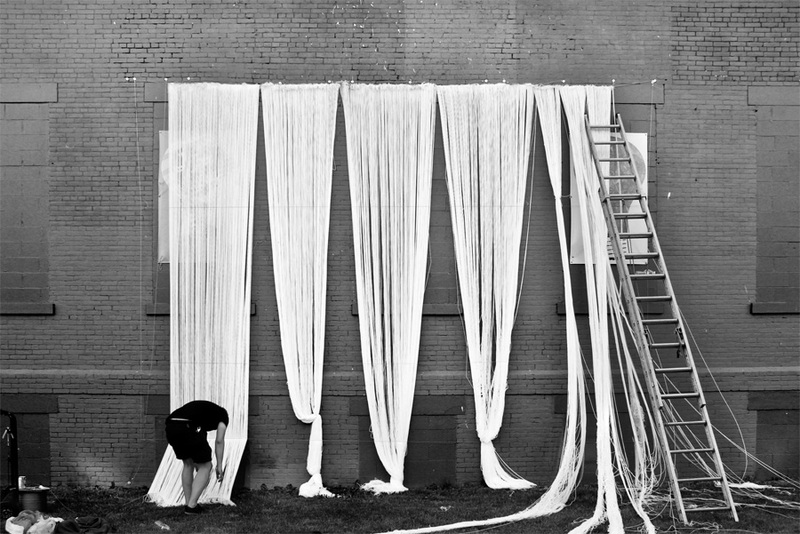 The structure, made of twenty miles of yarn, can be used as a gathering place during the day and as a projection screen in the evenings. 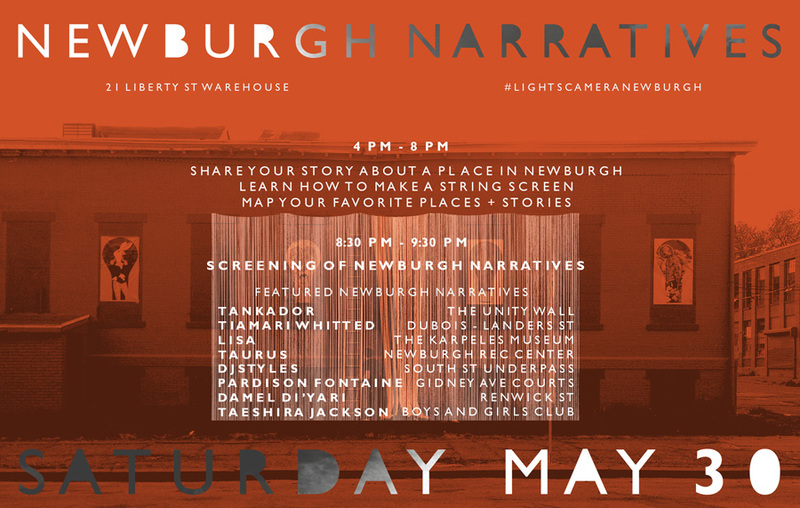 The opening took place on May 30th, 2015 and was accompanied by the screening of Newburgh Narratives, a short movie featuring stories about places in Newburgh, selected and told by people from the community.